Now that every pharma and biotech company is obliged to call itself ‘innovative’ the term is suffering from overuse and abuse. So sorting the wheat from the chaff, which companies are truly innovative? After an intense week of deal-making and discussing the future of pharma and biotech, the sector’s annual JP Morgan Healthcare conference in San Francisco is coming to a close. Amid all frenzied bids for attention and hubbub, it’s difficult to get a handle on who is really setting the pace in the sector. To try to cut through the noise, ‘path-to-market’ consultancy IDEA Pharma has produced its own take on who the top 10 most innovative pharma companies are, the IDEA Index. It has been compiling an annual Productive Innovation Index for the past two years, which looks at how the big pharma companies are faring. The IDEA Index differs because it looks at a broader field, including smaller firms and those with a lower turnover, but who are nevertheless genuinely innovative. IDEA Pharma’s chief executive Mike Rea says that, despite innovation being the lifeblood of the sector, many companies struggle to define or go beyond lip service to the idea of innovation. Talking to pharmaphorum, Rea described the IDEA Index as “gloriously analogue” – a personal take on which companies show courageousness, a dedication to patient needs, and to lots of different kinds innovation and fresh thinking. Founded in 1992, Alexion is one of the most successful of a generation of biotech firms focused on developing drugs for serious and life-threatening rare and ultra-rare genetic diseases. Its first product Soliris has transformed the outlook for sufferers of two rare diseases, PNH and aHUS, and earned around $2.5 billion in 2015. This blockbuster status is thanks also to its price – around $400,000 in the US – making it one of the most expensive drugs in the world. Last year Alexion gained approval for two new orphan drugs, Kanuma and Strensiq, and investors are focused on the launch uptake of these new treatments in 2016. IDEA Pharma says Alexion deserves it place in the list for pioneering rare disease treatments “and for bringing meaningful differences to their patients”. 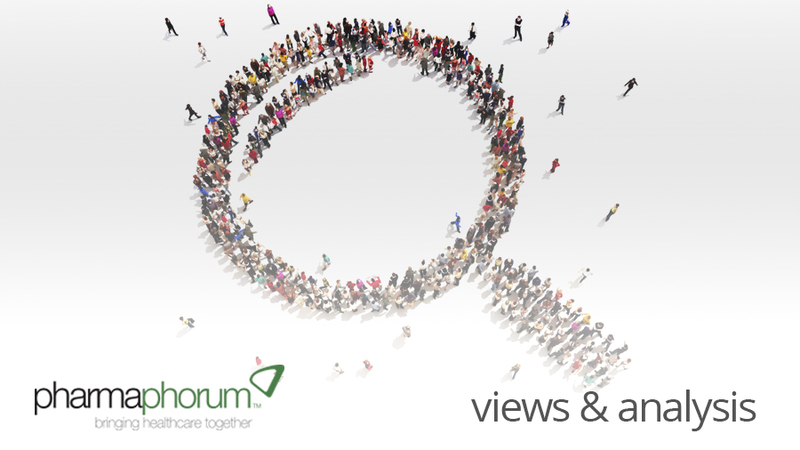 Read pharmaphorum‘s profile of the company. Another specialist in treating rare genetic diseases, the San Rafael, California-based BioMarin has achieved rapid growth in a short space of time. The company has launched its first five treatments in just eight years. IDEA Pharma says BioMarin should be praised for its “laser-like focus on commercialisation” – the firm has launched all these products on its own, without the help of a partnering or licensing deal with big pharma. However the company’s annual revenues haven’t yet broken through the $1 billion, which means it’s not yet an investor favourite. Being innovative should of course mean taking risks – and these can’t always pay off. The FDA has just rejected drisapersen, the company’s new treatment for Duchenne Muscular Dystrophy This hasn’t come as a surprise, as an FDA review in November was damning about the lack of efficacy data in its pivotal trials. BioMarin may or may not be able persuade the FDA about drisapersen in the long run, and may lose out to rival drugs seeking to be the first treatment for the devastating disease. But the company does have other promising candidates in the pipeline, with a total of six other products in late-stage development. Celgene is a biotech which has broken into the big time in recent years, thanks to its focus on haemato-oncology and oncology. Multiple myeloma drug Revlimid is the firm’s flagship, generating around $5.8 billion in revenues last year. But it’s not just its rapid growth that has caught IDEA Pharma’s eye. Mike Rea says the company earns its place in the innovation index “for delivering actual, authentic patient-centricity”. Celgene has annual Innovation Impact awards, which help support not-for-profit groups to make clinical trials more patient-friendly and focused on patient needs. Celgene announced this week a major transition at the top: chief executive Bob Hugin is to step down after 17 years in leadership roles at the firm. Mark Alles, currently chief operating officer, will take over as CEO. Gilead’s hepatitis C treatments Sovaldi and Harvoni have enjoyed unprecedented success since they were launched in 2014 and 2015, respectively. The drugs earned a colossal $18 billion for Gilead in 2015, transforming the company into one of the profitable companies in the world and most valuable stocks, not far behind their Silicon Valley neighbours Apple. IDEA Pharma says that Gilead deserves praise for “developing cures where others saw incremental improvements”. Of course Gilead’s very high prices for the drugs has caused huge controversy as well. However IDEA Pharma doesn’t directly acknowledge this tension, and indeed praises it “for holding on to the idea of value for its treatments” as well as for wide-ranging clinical programmes to ‘own’ diseases. Investors will be watching Gilead closely in 2016, with many expecting it to make another targeted strike to acquire a small biotech firm with a promising pipeline. Read more about Gilead here. Its expertise in drug discovery across a range of novel mechanisms has made the Delaware, US-based company a key player in the booming field of immuno-oncology. Combinations of treatments are likely to be crucial, and Incyte is partnering with all the key players. Incyte is investigating its IDO1 inhibitor, epacadostat, in trials with Merck’s Keytruda, Bristol-Myers Squibb’s Opdivo, AstraZeneca’s durvalumab and Roche’s atezolizumab, and has many more alliances in other molecules. Incyte already has its first product on the market, Jakafi, approved for two rare conditions, myelofibrosis and for patients with polycythemia vera, The company licensed the drug to Novartis outside the US, and poached Hervé Hoppenot from the company in 2014 to become its chief executive. 2016 will be a pivotal year for the firm: epacadostat will enter phase 3 trials in 2016, and its other lead candidate, baricitinib in rheumatoid arthritis, has shown itself superior to market leader Humira in phase 3 trials. The oral drug, co-developed with Lilly, is likely to be filed later this year. Johnson & Johnson (J&J) has topped IDEA Pharma’s more mainstream Productive Innovation Index for the past two years, thanks to the steady stream of drugs launched which offer significant benefits to patients. The company has also established a network of biotech incubators called JLabs – an initiative which offers entrepreneurs lab space for a fee, with access to business development help and opportunities for collaboration. The Danish pharma company is renowned for its focus on diabetes care, and overtook rival Sanofi in 2015 to be number one in the field by revenue. In November, a survey conducted by Harvard Business Review ranked Novo’s chief executive Lars Rebien Sorensen at No.1 in its top 100 CEOs. IDEA pharma says the company should be recognised for its “single-minded pursuit of excellence in a disease area” and for taking an innovative ‘wraparound’ approach to diabetes and obesity. The company has also signed a deal with IBM’s supercomputer Watson group, with the aim of tracking health and creating a ‘virtual doctor‘ for patients. Japanese pharma company Otsuka is best known for its antipsychotic treatment Abilify, but in 2015 a court ruling saw the firm lose its US exclusivity early. Pre-empting this loss, Otsuka took the plunge on a ground-breaking project with Proteus Digital Health to create the world’s first ‘digital pill’. An ingestible sensor the size of a grain of sand is included in the Abilify capsule, and then communicates with a sensor patch worn on the skin. This data can then be transferred to the cloud to help patients and their doctors track their medication use. The partners filed the device with the FDA in September, and have just signed a deal with Californian hospital Barton Health for its first use outside clinical trials. IDEA Pharma says Regeneron should be recognised for its “continued opportunistic harnessing of science in discovery and development” as well as “for showing established players the way to commercialise” a product. The company has achieved that most noticeably with ophthalmology drug Eylea, which is eating into the market share of Novartis’ Lucentis and off-label use of Roche’s Avastin. Building on the multi-billion-dollar success of Eylea, Regeneron has now launched another sure-fire blockbuster, new cholesterol treatment Praluent, co-marketed with Sanofi. The partners have just filed another potential top-seller with the FDA: rheumatoid arthritis drug sarilumab, and a promising eczema and asthma candidate is now in phase 3. Teva is the world’s biggest generics company, but the Israel-headquartered firm is going beyond simply producing copycat drugs as cheaply as possible. The firm has a philosophy of developing ‘new therapeutic entities‘ (NTEs) i.e. innovating around existing molecules to create ‘beyond-the-pill’ benefits. Its NTE development programmes include a range of abuse-deterrent opioids for pain management and a once-every-three-months regimen of an extended-release formulation of schizophrenia drug risperidone. Mike Rea said this is a truly patient-centric approach, “challenging the gap between unmet need and solution, putting known molecules into novel approaches”. The lesson from the list, then, is clear: while the term ‘innovation’ can become an empty buzzword through overuse, some companies are walking the talk. Companies genuinely committed to new drugs which meet a real patient need, and can harness this to excellence in commercialisation, are the ones who will succeed in a crowded field.